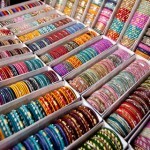 bangle shop in Johari Bazaar, in Jaipur, in Rajasthan, India. 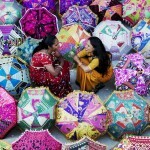 Jaipur is well known Tourist Destination in Rajasthan, India. 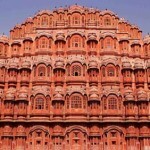 If you are planning to visit Jaipur for sightseeing purpose. You want to cover most in single Day. Here is piece of advice .. 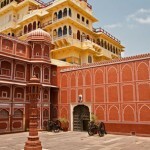 Hire a car or Taxi in Jaipur. Start your tour at Around 8:30 am. As most attractions open by 9 am. Start your tour from Hotel after breakfast. 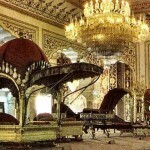 Drive to city palace. 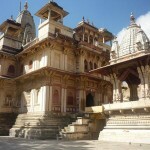 Entrance : 300 rupees for foreigners (includes camera fee and entry to Jaigarh Fort). 75 rupees for Indians + 75 rupees for a still camera. 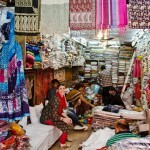 Hopefully the tour will be over by 5 and you have ample of time to visit markets and for shopping.